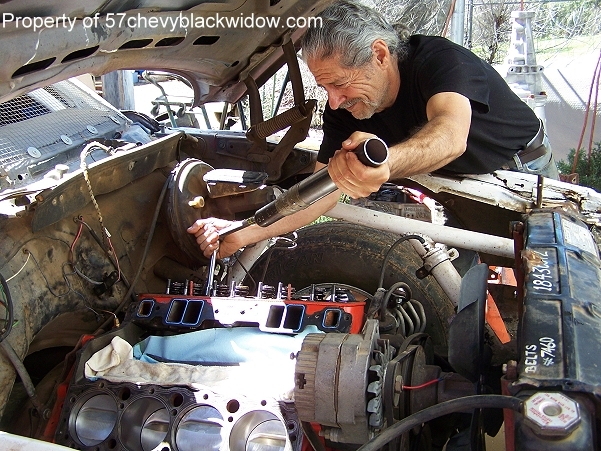 "Old Guy Scott" uses the original "Black Widow" heads on his current Monte Carlo dirt car. Photo #294 shows him removing heads to use on the "Black Widow" build. Photo 295 shows the casting #3731539, this is the 1957 283 HP head. The date code is #J286. 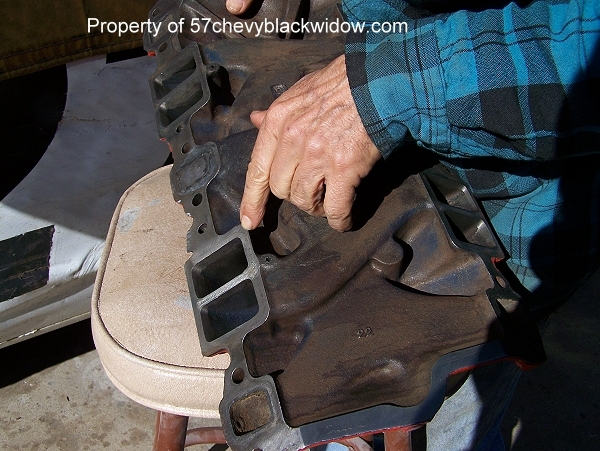 This means they were manufactured on October 28, 1956, these are genuine "black Widow" heads. 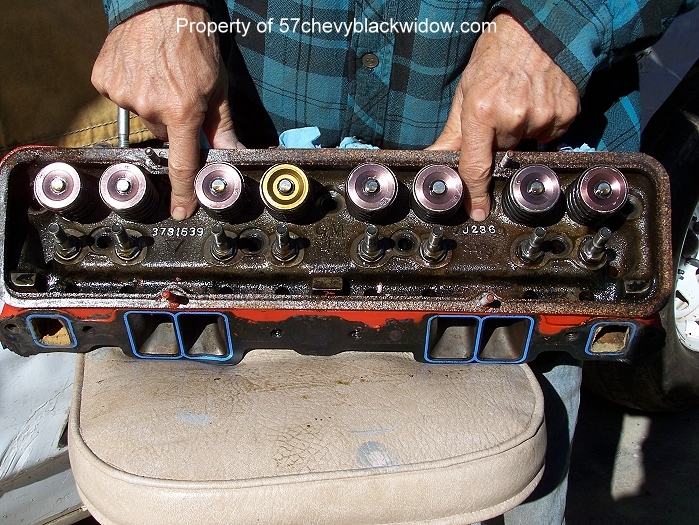 Photo #296 shows the large spring retainer and dual valve springs, you can also see screw in rocker studs. Photo #297 points out the huge 2.02 valves, quite remarkable for fifty one years ago. "Old Guy Scott" says they are still the best... and uses them to this day. 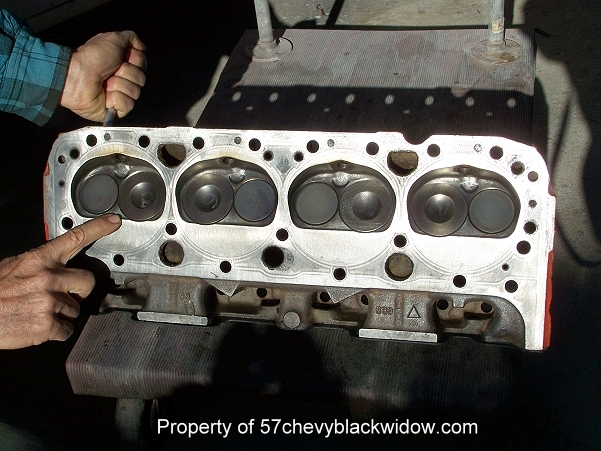 Photo #298 shows a high performance 350 manifold needing to be port matched larger to fit up with the "black Widow" heads. This of course is the dirt car setup. Photo #299 points out the high heat aluminum paint used on the super thin head gaskets for the dirt track car. 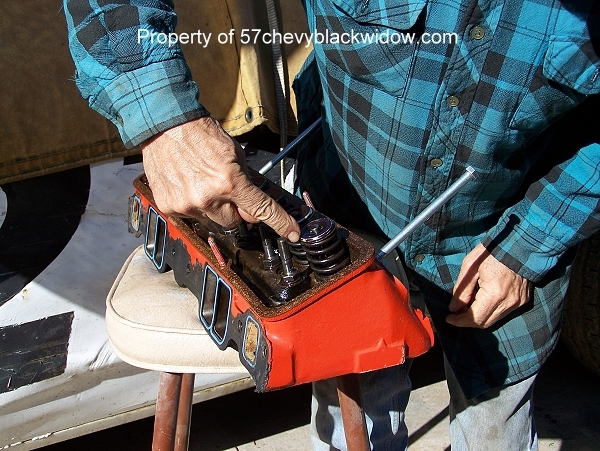 It's good knowing original heads will return to the "Black Widow" as they were fifty one years ago.